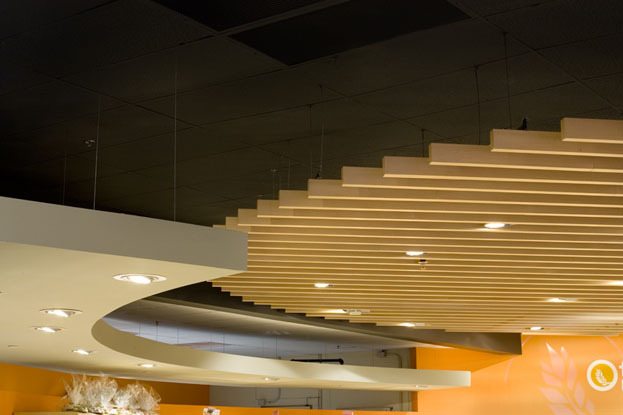 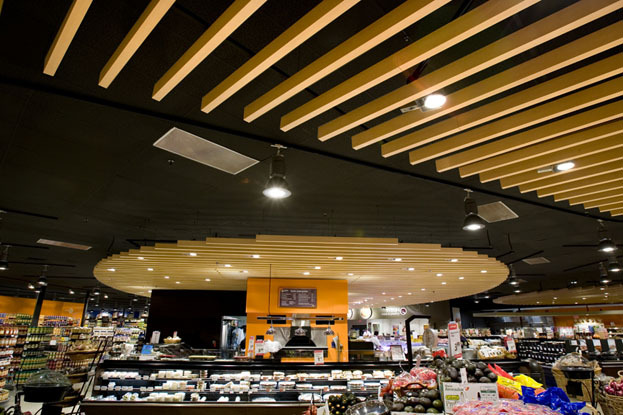 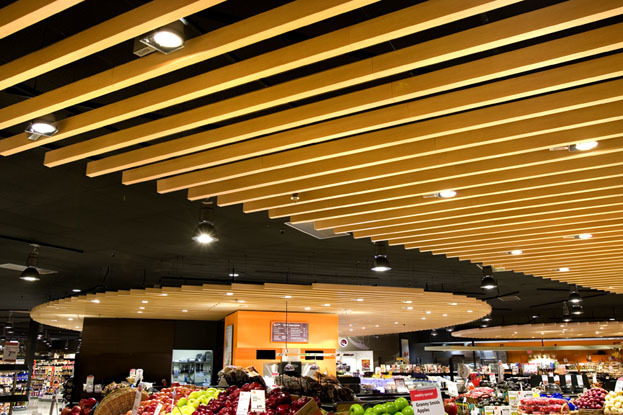 To highlight and define the look of the fresh and prepared food areas at the supermarket, Studio 5 Partnership, Architects/Planners LLC specified Woodwright™ Beams from our facility in Norcross, GA. 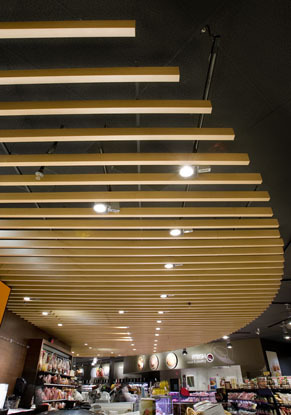 These "beams" are actually made of metal containing 70% - 90% recycled aluminum with a laminated (film) wood finish. 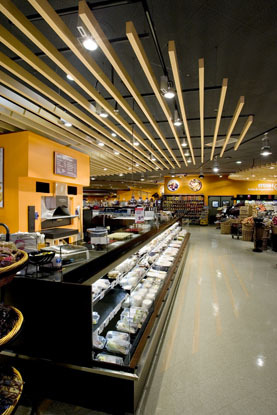 The renovation of this market gave it a distinctly European feel. 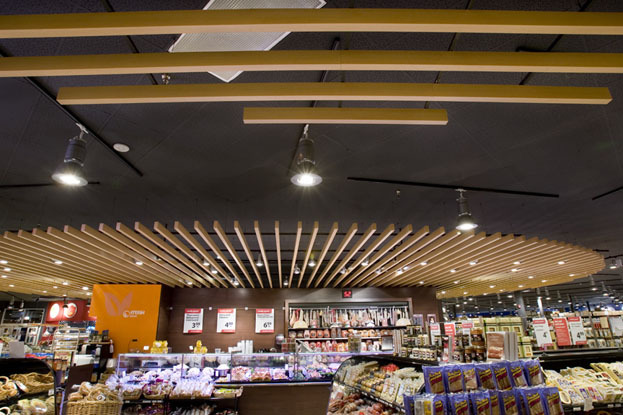 Shoppers can explore all 17 "shops", including artisan breads, cheese, chocolates, and "fresh to go" items.